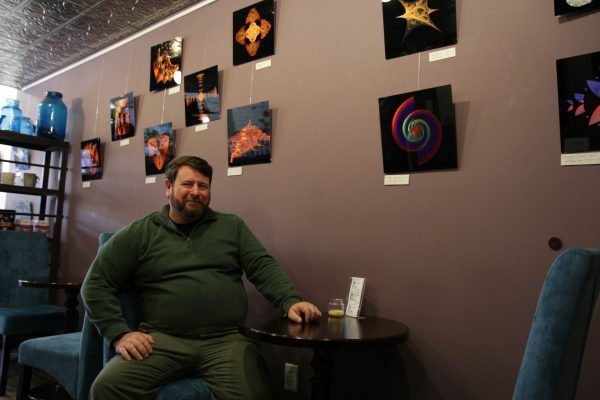 On the walls of the Boheme Coffee Lounge in Anchorage hang eighteen glass panels. Most are one foot by one foot, some are bigger. All of them feature brilliant, luminous shapes. They seem familiar, like objects from nature—nautilus shells, flowers, branching capillaries—but a closer look reveals they’re not quite of this world. They are the creations of Bill Lee, an environmental scientist whose first exhibition, Artistry in Equations, will be on display in the gallery through the end of July. Lee says the origin story of the art goes back decades, to his final months in the Army. He was stationed at Fort Wainwright, working for a scientist studying the microtopography of the tundra that spread out around them for hundreds of miles. The idea was that beneath the patterns of the landscape there might be equations that described its natural curves. Fractals—repeating geometric patterns that look the same when you scale up or down—have fascinated Lee ever since, and so have other shapes born of equations. And now, Lee’s sort of doing the reverse of that work in Fort Wainwright. He takes a curve or a surface and applies equations to it to create something entirely new. 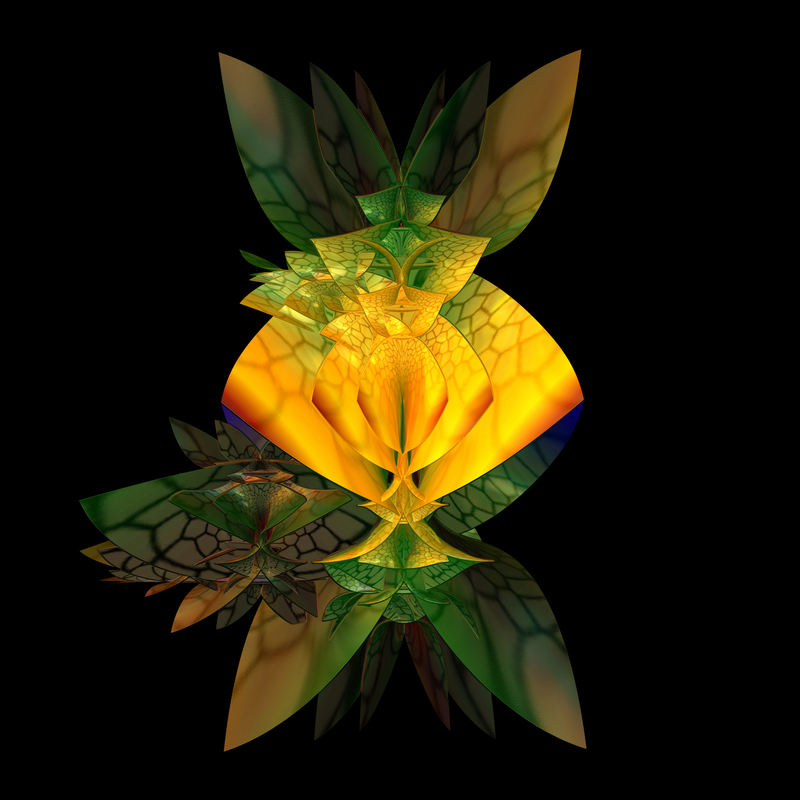 Lee uses computer software to visualize the creations, twisting them to view them from all directions. "Lady Enneper," an image by Bill Lee. 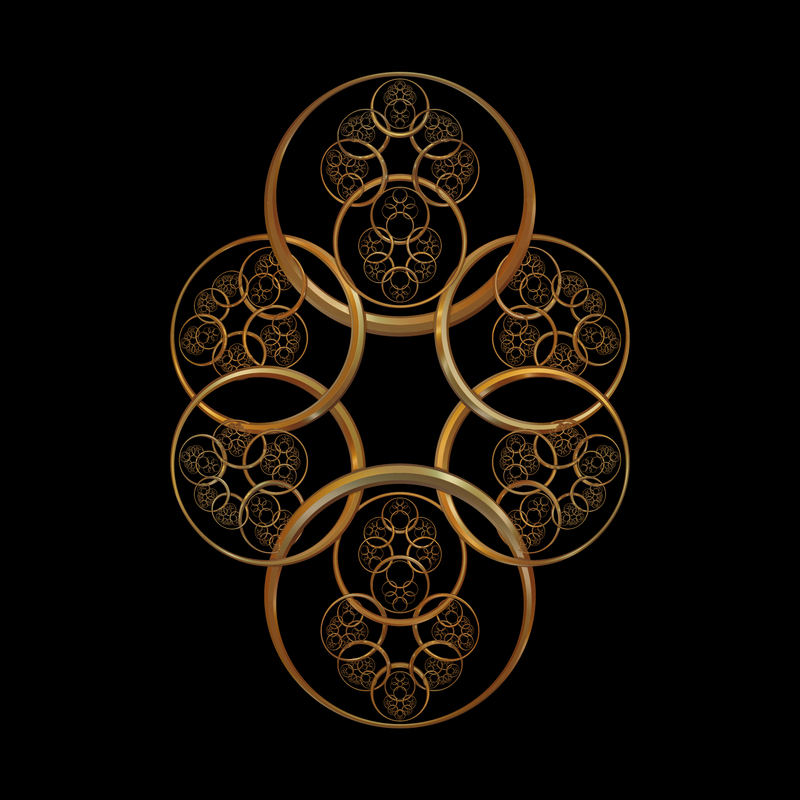 "Hyperbolic Circus I," an image by Bill Lee. 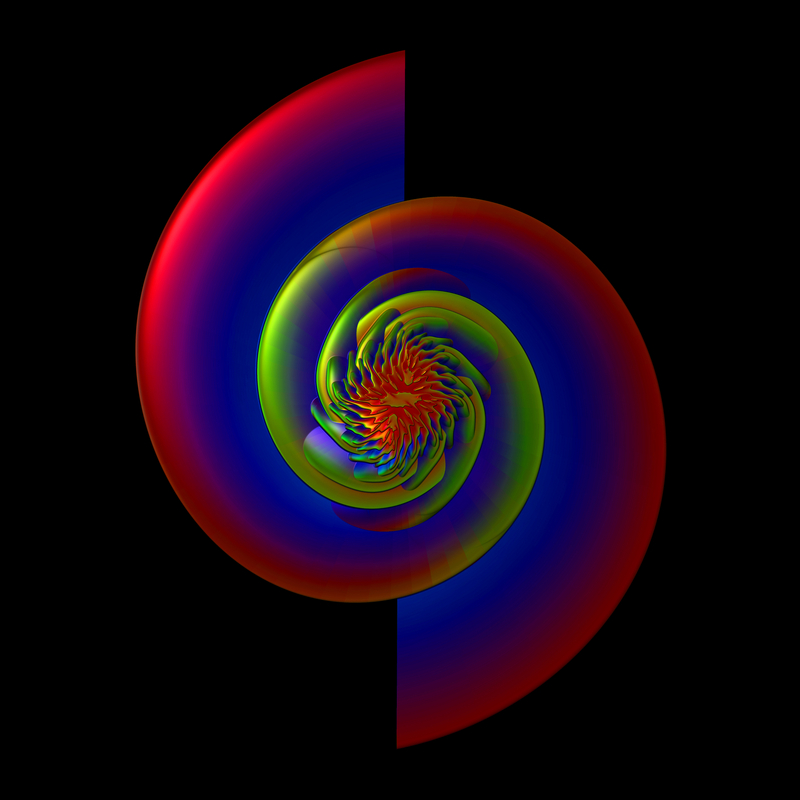 "Gumowski - Mira Attractor Beta 2," an image by Bill Lee. "Baroque Scroll I," an image by Bill Lee. 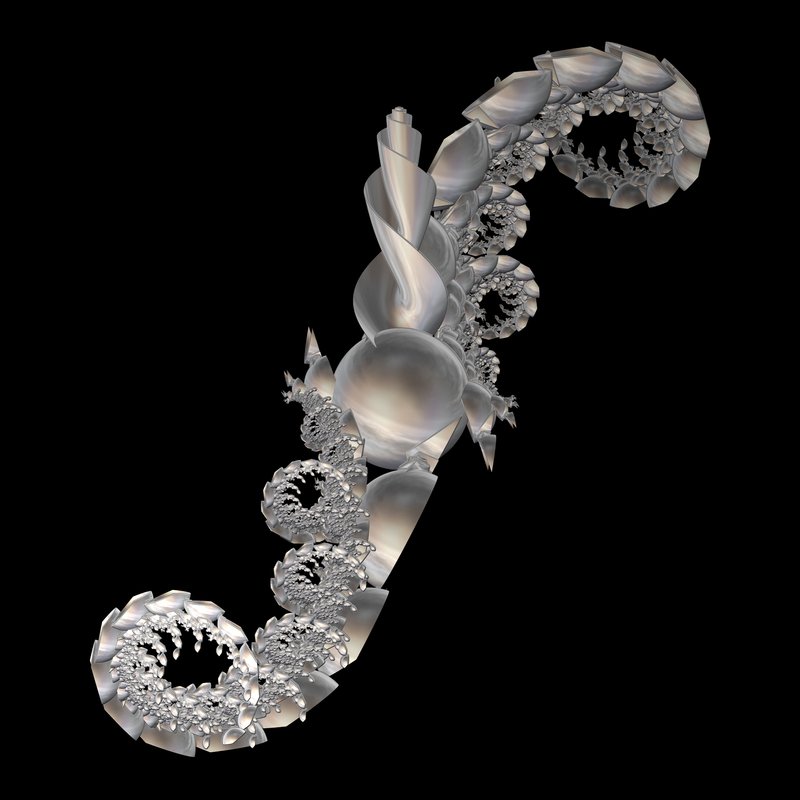 "Double Nautilus," an image by Bill Lee. A lot more complicated. On one wall are mango-yellow shapes that look sort of like blooming birds of paradise. 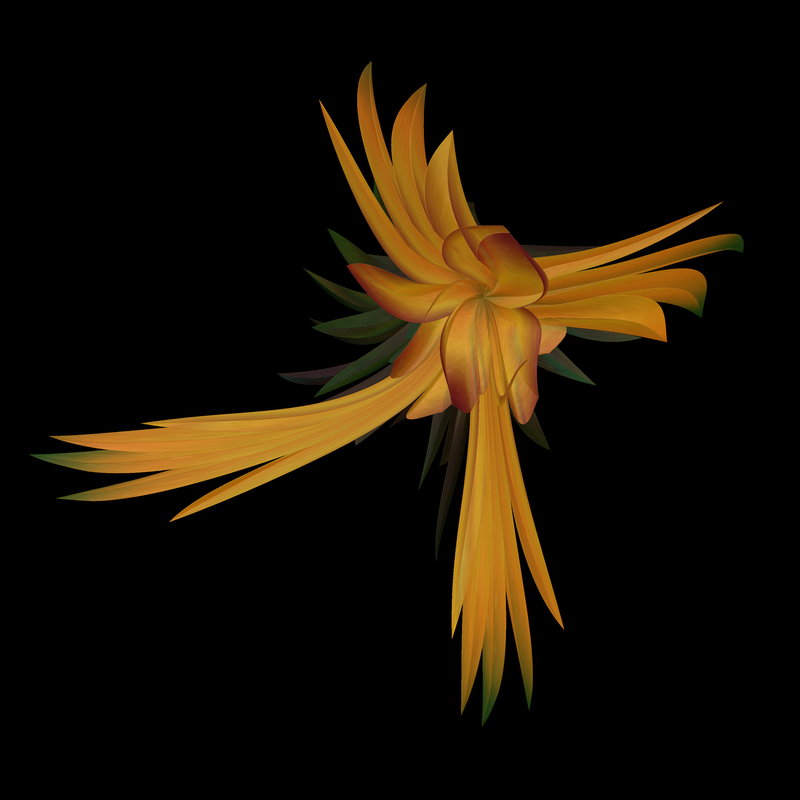 They’re the feathery, floral result of simple shapes that have been manipulated by an equation that was developed at the CERN supercollider in Europe to map subatomic particles. The colors are applied using equations, too. The final image gets zero reshaping or retouching before it is printed through a special dye transfer process onto sheets of aluminum. Lee says When you use these mathematical principles as artists’ tools, there’s really no limit to what you can create. View the works at Boheme Coffee Lounge behind Arctic Rose Gallery on West Northern Lights Boulevard, where they’ll be on display throughout the month of July.